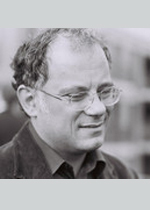 Sandro Mezzadra works as an Associate Professor of Political Theory at the University of Bologna, where he teaches postcolonial studies and contemporary political theory. He has published widely on the areas of migration, postcolonial theory, contemporary capitalism, Italian operaismo and autonomist Marxism. He recently completed a book with Brett Neilson, Border as method, or, the multiplication of labor (2013, Duke University Press). His writings have been translated into ten languages: Italian, French, German, Spanish, Finnish, Greek, Slovenian, Portuguese, Chinese and Japanese. He is currently working on the FP7 European project MIG@NET ( Transnational Digital Networks, Migration and Gender (opens in a new window)) and is a partner researcher on the ARC Discovery project, Culture in Transition: Creative Labour and Social Mobilities in the Asian Century. 2010: Visiting Fellowship, Franklin Humanities Institute (FHI) and the Program in Literature, Duke University, Durham, NC. 2009: Research Fellowship, Programme International d'Études Avancées (PIEA) de la Fondation Maison des sciences de l'homme (Paris) – Columbia Institute for Scholars at Reid Hall. 2006-2008: Visiting Fellowship, University of Western Sydney, Centre for Cultural Research, Eminent Research Visitors Scheme. 1999: Research Fellowship, Max Planck Gesellschaft für Rechtsgeschichte, Frankfurt a.M.
1997-1998: Research Fellowhip, Alexander von Humboldt Stiftung, Humboldt Universität zu Berlin. Mezzadra, S & Neilson, B 2019, The politics of operations: excavating contemporary capitalism (opens in a new window), Duke University Press, Durham & London. Mezzadra, S & Neilson, B 2013, Border as method, or the multiplication of labor (opens in a new window), Duke University Press, Durham & London. Mezzadra, S 2008, La condizione postcoloniale. Storia e politica nel presente globale [translation: The postcolonial condition. History and politics in the global present], ombre corte, Verona. Mezzadra, S 2006, Diritto di fuga. Migrazioni, cittadinanza, globalizzazione [translation: The right to escape. Migration, citizenship, globalization], ombre corte, Verona. Mezzadra, S 1999, La costituzione del sociale. Il pensiero politico e giuridico di Hugo Preuss [translation: The constitution of the social. The political and legal thought of Hugo Preuss], Il Mulino, Bologna . Mezzandra, S & Neilson, B (guest eds) 2015, 'Special issue: extraction, logistics, and finance', South Atlantic Quarterly, vol. 114, no. 1. Mezzadra, S, Balibar É & Samaddar, R (eds) 2011, The borders of justice, Temple University Press, Phildelphia. Mezzadra, S & Fumagalli, A (eds) 2010, Crisis in the global economy: financial markets, social struggles, and new political scenarios, Semiotext(e), New York. Mezzadra, S & Friese, H (guest eds) 2010, 'Special issue: mobility and migration', European Journal of Social Theory, vol. 13, no. 3. Mezzadra, S (ed.) 2010, WEB Du Bois: Sulla linea del colore. Razza e democrazia negli Stati Uniti e nel mondo [translation: On the color line. Race and democracy in US and in the world], Il Mulino, Bologna. Mezzadra, S (ed.) 2008, Estudios postcoloniales. Ensayos fundamentales [translation: Postcolonial studies. Basic essays], Traficantes de Sueños, Madrid, 2008. Mezzadra, S (ed.) 2004, Cittadinanza. Soggetti, ordine, diritto [translation: Citizenship. Subjects, orders, law], Clueb, Bologna. Mezzadra, S (ed.) 2004, I confini della libertà. Per un'analisi politica delle migrazioni contemporanee [translation: The borders of freedom. For a political reading of contemporary migration], DeriveApprodi, Rome. Mezzadra, S & Neilson, B 2018, ‘Lampedusa’, in R Braidotti & M Hlavajova (eds), Posthuman Glossary (opens in a new window), Bloomsbury Academic, London. Mezzadra, S 2012, 'Forces and forms: governmentality and "bios" in the time of global capital', in R Nigro, G Raunig & I Gerald (eds), Inventionen 2, Diaphanes, Zurich, pp. 205-17. Mezzadra, S 2012, 'The new European migratory regime and the shifting patterns of contemporary racism', in C Lombardi-Diop & C Romeo (eds), Postcolonial Italy: challenging national homogeneity, Palgrave Macmillan, New York, pp. 37-50. Capuzzo, P & Mezzadra, S 2012, 'Provincializing the Italian reading of Gramsci', in NFR Srivastava & B Bhattacharya (eds), The postcolonial Gramsci, Routledge, New York & Abingdon, pp. 34-54. Balibar, É, Mezzadra, S & Samaddar, R 2011, 'Editors' Introduction', in É Balibar, S Mezzadra & R Samaddar (eds), The borders of justice, Temple University Press, Philadelphia, pp. 1-8. Mezzadra, S & Neilson, B 2011, 'Borderscapes of differential inclusion: subjectivity and struggles on the threshold of justice's excess', in É Balibar, S Mezzadra & R Samaddar (eds), The borders of justice, Temple University Press, Philadelphia, pp. 181-203. Mezzadra, S 2011, 'The gaze of autonomy. Capitalism, migration, and social struggles', in V Squire (ed. ), The contested politics of mobility: borderzones and irregularity, Routledge, London, pp. 121-42. Mezzadra, S 2010, 'Living in transition. Toward a heterolingual theory of the multitude', in RF Calichman & JN Kim (eds), The politics of culture. Around the work of Naoki Sakai, Routledge, London, pp. 121-37. Mezzadra, S & Neilson, B 2008, 'Die Grenze als Methode, oder die Vervielfältigung der Arbeit', in translate/eipcp (ed. ), Borders, nations, translations: Übersetzung in einer globalisierten Welt, Turia + Kant, Wien, pp. 113-28. Mezzadra, S 2007, '"Property of the self", individual autonomy and the modern European discourse of citizenship', in P Banerjee & S Kumar Das (eds), Autonomy. Beyond Kant and hermeneutics, Anthem Press, New Dehli, London & New York, pp. 37-48. Mezzadra, S & Neilson, B 2018, 'Entre extraction et exploitation: des mutations en cours dans l’organisation de la coopération sociale' (opens in a new window), Actuel Marx, no. 63, pp. 97-113. Mezzadra, S & Neilson, B 2015, 'Operations of capital' (opens in a new window), South Atlantic Quarterly, vol. 114, no. 1, pp. 1-9. Mezzadra, S & Neilson, S 2014, 'The materiality of communism: politics beyond representation and the state' (opens in a new window), South Atlantic Quarterly, vol. 113, no. 4, pp. 777-790. Mezzadra, S & Neilson, B 2012, 'Between inclusion and exclusion: on the topology of global space and borders' (opens in a new window), Theory, Culture and Society, vol. 29, pp. 58-75. Mezzadra, S 2011, 'Bringing capital back in: a materialist turn in postcolonial studies?' (opens in a new window), Inter-Asia Cultural Studies, vol. 12, no. 1, pp. 154-64. Mezzadra, S 2011, 'The topicality of prehistory. A new reading of Marx's analysis of "so-called primitive accumulation"' (opens in a new window), Rethinking Marxism, vol. 23, no. 3, pp. 302-21. Mezzadra, S 2011, 'How many histories of labour? Towards a theory of postcolonial capitalism' (opens in a new window), Postcolonial Studies, vol. 14, no. 2, pp. 151-70. Mezzadra, S 2011, 'Beyond the desert, beyond the state', South Atlantic Quarterly, vol. 110, no. 4, pp. 989-97. Mezzadra, S 2010, 'Anti-racist research and practice in Italy' (opens in a new window), Darkmatter, no. 6. Mezzadra, S & Neilson, B 2010, 'Frontières et inclusion différentielle', Rue Descartes, no. 67, pp. 102-08. Mezzadra, S & Balibar, É 2006, 'Borders, citizenship, war, class. A dialogue with Étienne Balibar and Sandro Mezzadra', New Formations, no. 58, pp. 10-30. Mezzadra, S 2004, 'The right to escape', Ephemera, vol. 4, no. 3, 267-75. Mezzadra, S & Rahola, F 2006, 'The postcolonial condition: a few notes on the quality of historical time in the global present' (opens in a new window), Postcolonial Text, vol. 2, no. 1. Mezzadra, S 2006, 'Citizen and subject. A postcolonial constitution for the European Union? ', Situations, vol. 1, no. 2, pp. 31-42. Mezzadra, S & Neilson, B 2003, 'Né qui, né altrove: migration, detention, desertion' (opens in a new window), Borderlands, vol. 2, no. 1. Mezzadra, S & Neilson, S 2014, 'The state of capitalist globalization', Viewpoint Magazine, vol. 4. Cobarrubias, S, Casas Cortes, M & Pickles, J 2011, 'An interview with Sandro Mezzadra', Environment and Planning D. Society and Space, vol. 29, no. 4, pp. 584-98. Mezzadra, S 2009, 'Italy, operaism and post-operaism', in I Ness (ed. ), International Encyclopedia of Revolution and Protest, Blackwell Publishing, Oxford, pp. 1841-45.